“Chirag: Rowley, do you think I exist? Rodrick Rules was just an amazing book! This is also my first time reading a Wimpy Kid book. I can't wait to read all the others. My favorite part was when Greg would stay in the bathroom and wrap himself in toilet paper. It was also funny that when Rodrick said where's the space bar?, Dad just went to type his essay. Manny was also really funny and cute! I can't wait to read my next Wimpy Kid book. I really loved the book! Thank you for making the book Jeff Kinney. Jeff Kinney was born in 1971 in Maryland and attended the University of Maryland in the early 1990s. It was there that Jeff ran a comic strip called “Igdoof” in the campus newspaper, and he knew he wanted to be a cartoonist. However, Jeff was not successful in getting his comic strip syndicated after college, and in 1998 he started writing down ideas for Diary of a Wimpy Kid, which he hoped to turn into a book. Jeff worked on the book for six years before publishing it online on Funbrain.com in daily installments. To date, the online version of Diary of a Wimpy Kid has more than 80 million visits, and is typically read by more than 70,000 kids a day. The Diary of a Wimpy Kid series has been a fixture on the USA Today, Wall Street Journal, and Publishers Weekly bestseller lists. The series has remained on the New York Times bestseller lists since the publication of the first book, for more than 450 weeks total, and more than 350 on the series list. The books are currently available in 61 editions in 52 languages. 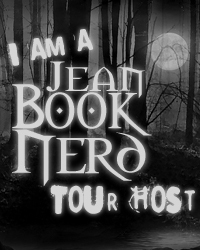 Since initial publication in 2007, the series has gone on to win many regional and national awards around the globe including two Children’s Choice Book Awards and six Nickelodeon Kids’ Choice Awards for Favorite Book. 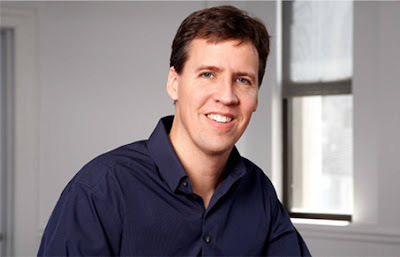 Jeff Kinney was named one of Time magazine’s most influential people in the world. In addition, three movies based on the book series have grossed more than $250 million internationally. A new film based on the books is set to release in May 2017. Jeff Kinney is also the creator of Poptropica, which was named one of Timemagazine’s 50 Best Websites. He spent his childhood in the Washington, D.C., area and moved to New England in 1995. Jeff lives with his wife and two sons in Massachusetts, where they own a bookstore, An Unlikely Story. "When was the last time you laughed so hard?" I'm watching "House, M.D." on DVD. Sometimes that makes me laugh! The last time I laughed so hard was watching America's Got Talent. When my sister and I went to the casino 2 weeks ago.